An intelligently designed and maintained irrigation system not only eliminates the stress of hand watering, but also maximizes water usage and ensures a healthy, natural environment. Our Irrigation Department specializes in responsible watering care and creating irrigation systems that can be modified to fit the expanding needs of your landscape. 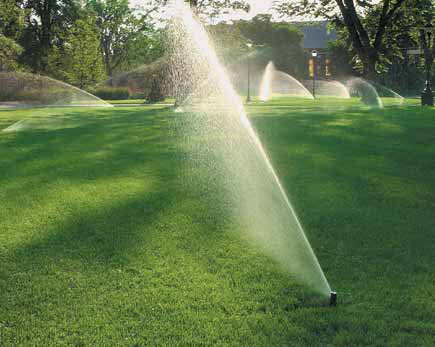 Irrigation and Sprinker System Design Each of our sprinkler systems are custom designed to ensure that the specific needs of your property are met. We use cutting-edge, water saving devices for optimal performance. 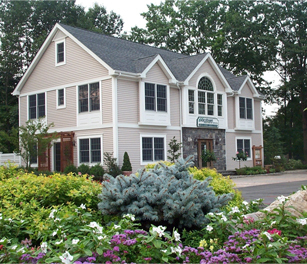 Irrigation & Sprinkler System Installation When installing sprinklers on residential and commercial properties, we make sure that each of our systems minimize both water usage and expense. A well-built and carefully installed irrigation system makes the mopst of your investment by helping avoid costly repairs down the road. Irrigation System & Sprinkler Maintenance Our comprehensive irrigation and sprinkler maintenance services include spring start-ups, mid-season reviews and tune-ups, fall winterization and water-saving audits.